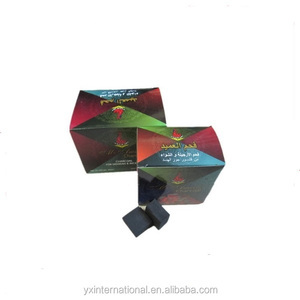 8 YRS Ganzhou Yaxin Trading Co., Ltd.
7 YRS Zhengzhou Dongfang Heavy Machinery Co., Ltd.
1 YRS Zhangjiagang Genyond Machinery Co., Ltd.
Coconut shell activated carbon :coconut shell activated carbon with high quality coconut shell as raw material, through the series production process finishing. 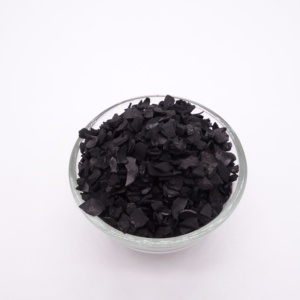 Coconut shell activated carbon is mainly used for drinking water, pure water, wine, beverage, industrial wastewater purification, decolorization, dechlorination, deodorant; Also can be used in oil refining industry to take off the mercaptan, etc. 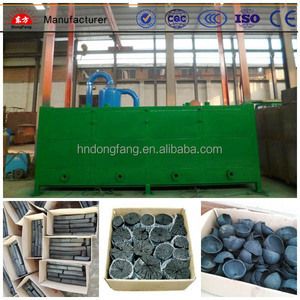 Coconut shell activated carbon Is finely produced from imported coconut shell carbonized materials and is in a form of dark irregular pellets. 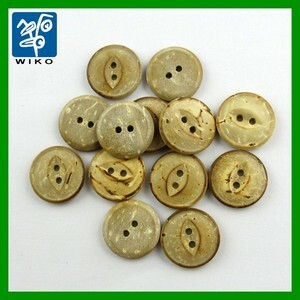 9 YRS Wenzhou Wiko Garments Accessories Co., Ltd.
common sense buttons natural coconut shell material shells of coconuts with a hard and delicate texture.the hard shell of a palm-tree nut should polish professionally. we provide a full range of service to companies that need a reliable and qulified garments accessories from wiko . 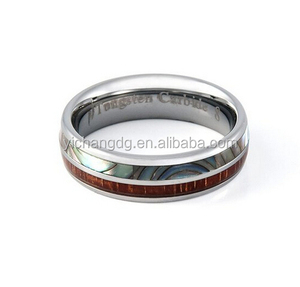 1 YRS Pro-Tech Precision Machinery Co., Ltd.
3 YRS Xiamen EDG Stone Co., Ltd.
11 YRS Jiangsu Kuwai Machinery Co., Ltd.
3. Powerful control of the machine production schedule and quality, and keep you posted about details in time. Or photos and video of the machine and package for your confirmation before shipment. 6. Q: What is the warrantee period of the machine9 A: The warrantee period is one year since the date of B/L. 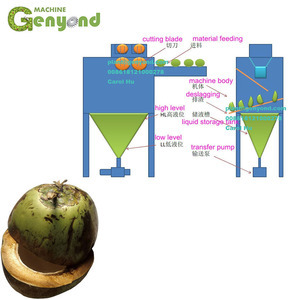 3 YRS Shanghai Activated Carbon Co., Ltd.
Coconut Cut Half Machine Coconut Juicer Introduction of Coconut Cut Half Machine Coconut Juicer 1. The coconut laterally placed on conveyor baffle by worker, the coconut is driven by the drive shaft to move upward, conveyor chains are constantly making rotary movement, and slowly raise and delivery coconut to the allocated rack. 2. 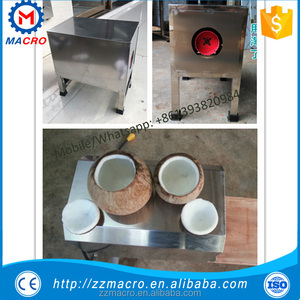 The top of the machine has a fixed blade, the coconut is cut into half under the mutual force of the blade and allocated rack. 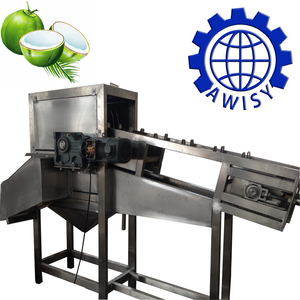 After cutting into halves, the juice out of coconut flow into the juice bucket, while the slag is discharged into slagging bucket, by angled guardrails which are installed at the top of the juice bucket to prevent coconut shell falling into the juice bucket. 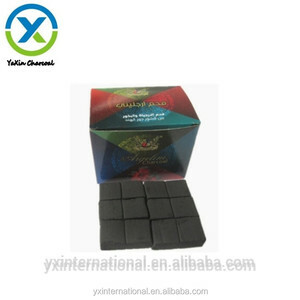 Alibaba.com offers 42 half coconut shell products. About 4% of these are charcoal, 2% are crystal crafts. A wide variety of half coconut shell options are available to you, such as free samples. 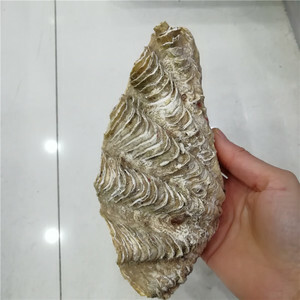 There are 42 half coconut shell suppliers, mainly located in Asia. The top supplying country is China (Mainland), which supply 100% of half coconut shell respectively. Half coconut shell products are most popular in North America, Western Europe, and Eastern Europe. You can ensure product safety by selecting from certified suppliers, including 11 with ISO9001, 1 with GSV certification.